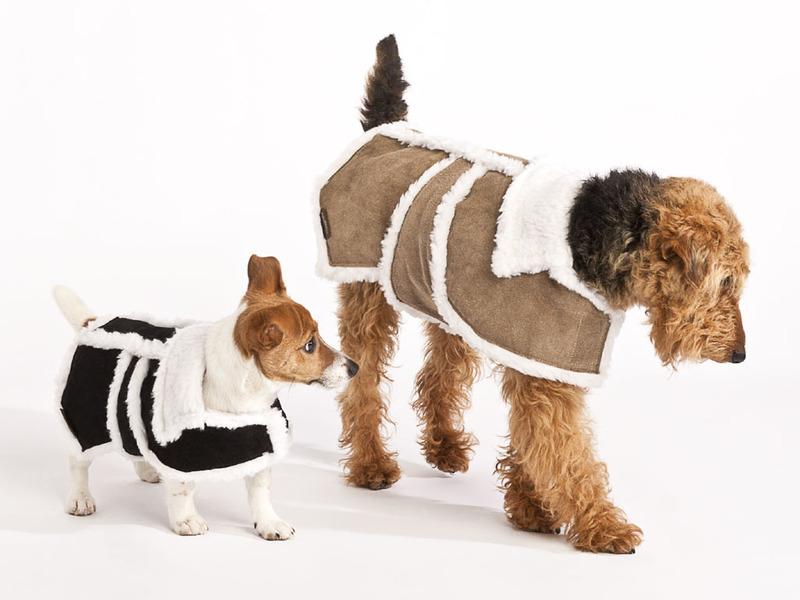 The Sherpa Dog Coat is made with genuine suede leather with faux fur lining to keep the dog warm and comfy in cold weather. 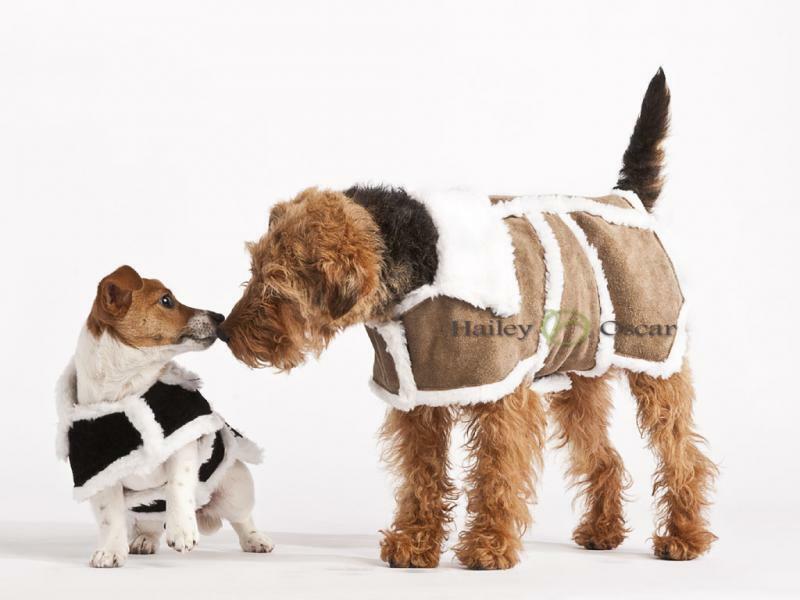 The coat is durable, wind proof and weatherproof. Larger front strap to protect the dog from wind. Large pad of surcingle that strap around the body to keep the dog warm. 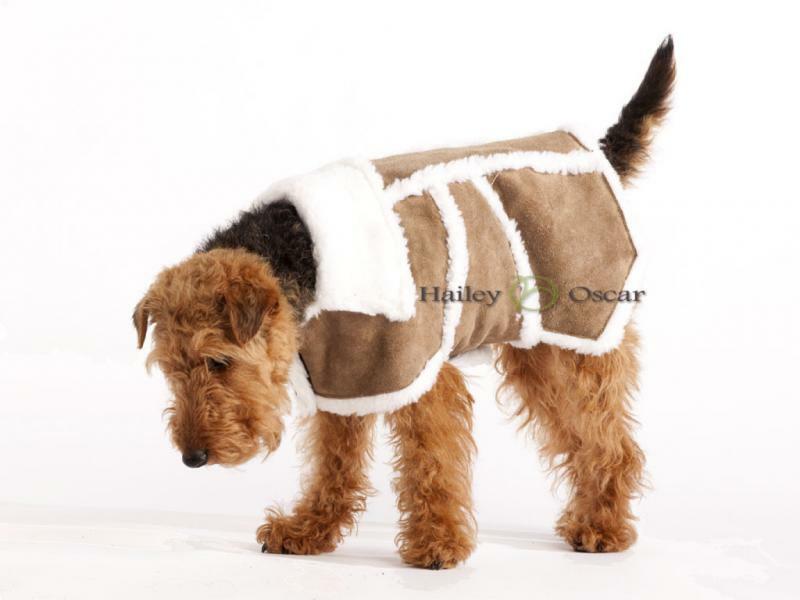 V shape at the back of the coat to let the dog to waggle his tail. Velcro straps make it easy to wear and to remove. 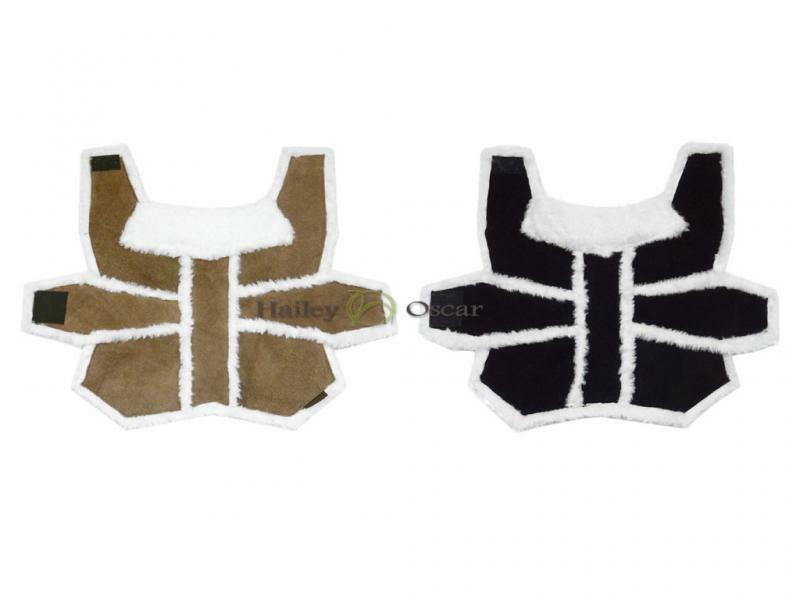 Sherpa dog coat is available in brown/tan and black. There are six sizes available to fit most breeds, measuring from the neck to the root of the tail. Click here for measuring guide.